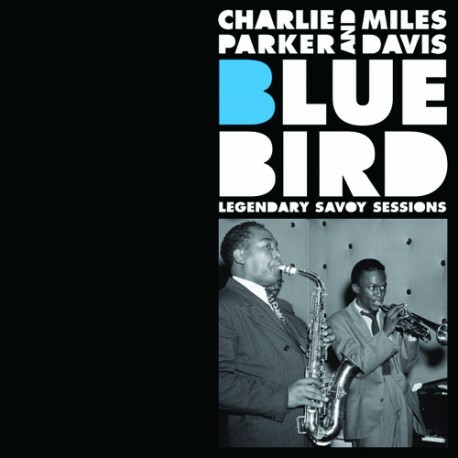 Arguably containing the most famous of all Parker’s recorded output, this CD offers a selection of 23 tracks from his Savoy sessions of 1945-48. The first three tracks are the master takes of his very first recording as a combo leader with Miles Davis on trumpet, Max Roach on drums and Dizzy Gillespie at the piano. These three pieces were a blueprint for the new bebop music which Bird and Diz had been developing for around three or four years prior to this recording session. “Billie’s Bounce” “Now’s the Time” and “Meandering” are solid classics of the music although they were not accepted as such back in 1945 when Downbeat magazine awarded them a measly two stars; a vindication perhaps for those people today who have no faith in the star system. Now, more than 70 years on, they can be given the full five they always deserved. This small combo was a sensation when it first began playing the clubs in NYC for a good three years before being recorded. There isn’t much to choose between the pianists although Bud Powell was, of course, the most important single contributor at the keyboard. The same comment goes for the bass players and Max Roach is present, as the ideal bop drummer, all through from 1945-48. It has all been said before – hundreds of times – but Parker’s consistently brilliant improvised choruses and freshness of approach set new standards for jazz that carry on into the present day. Miles just about keeps up in the style set by Gillespie although his invention is consistent in his solo work. Max drives everybody along relentlessly and the bass players are all top players of the day. Parker and a few others changed the face of jazz forever with these recordings and the only surprise here is that EJC missed out on “Ko Ko”, arguably the standout track from the entire Savoy recording sessions of these years. I wonder why? Parker (as); Davis (t) with, collectively: Dizzy Gillespie (t); John Lewis, Bud Powell, Duke Jordan (p); Curley Russell, Nelson Boyd, Tommy Potter (b); Max Roach (d). NYC, 25 November 1945 – 24 September 1948. "Now, more than 70 years on, they can be given the full five stars they always deserved".